October is National Breast Cancer Awareness Month. Affecting 1 in 8 women during their lives, breast cancer is one of the most common cancers in the United States. Many of us know someone – a mother, a sister, or a friend – who has had it. Thanks to regular screening, breast cancer can be detected early when the chance of successful treatment is high. The earlier breast cancer is found, the easier it is to treat. 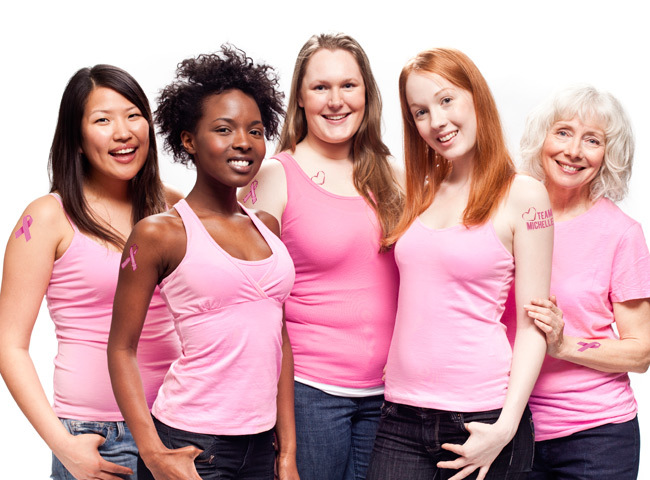 Educate yourself about breast cancer risk factors and symptoms. Give yourself a monthly breast exam. Breastcancer.org offers an easy-to-use tutorial: The Five Steps of a Breast Self-Exam. Visit your doctor for regular examinations. The American Cancer Society (ACS) recommends clinical breast exams every 3 years for women in their 20s and 30s, and yearly mammograms beginning at age 40. Stay Healthy is one of the American Cancer Society’s primary areas of focus. Take care of your body with good nutrition. Keeping healthy foods around the house is a great way to make sure that smart choices are easy choices. Canned seafood contains healthy omega-3’s and is one of the recommended foods on the ACS’s “In the cupboard” list. Exercise! A healthy lifestyle includes regular exercise. A fit body is strong, balanced, resilient, and better equipped to handle any challenges that come your way. For more information on a healthy lifestyle, see the ACS Guidelines on Nutrition and Physical Activity for Cancer Prevention. Crown Prince Seafood encourages all of our customers and colleagues to maintain awareness about breast cancer in their families and workplaces, this month and throughout the year.